On Saturday we celebrated the housewarming party at our new house. We had a nice gathering and enjoyed every bit of the party. So I was so busy planning the menu and making the arrangements. I didn’t make any dish as it was a huge gathering, so ordered from the restaurant. And you know what? This post happens to be 200th post! Coming to today’s recipe, one day my daughter said she wants to prepare something sweet all by herself. She wanted to bake something. I was reluctant at the beginning as I myself is a novice in baking, but said ok go ahead, I will help you in the process. But she rejected my help and said she wants to do it all by herself. How can anybody trust a 9 yr old and leave the entire kitchen to herself? We argued a little bit and she said I could help her if she finds it’s difficult for her to manage. So I googled for an easy recipe for her baking experiment, but landed on this yummy recipe that involved no baking (phew!). She liked the recipe too! So here is the creamy fudge my daughter prepared entirely (I was peeking though)! I helped her with the stove and the can-opening. It turned out so delicious and she got thumbs up from everyone for her culinary adventure! Of course this is not her first adventure; she made this yummy Strawberry-Banana Smoothie that I published long back. We got the original recipe from here and we used the readily prepared graham crust instead of making it from scratch. Add chocolate chips + condensed milk + vanilla in a non-stick pan and stir until the chips are melted. Remove from heat and stir in the cream cheese. Mix well. Pour this mixture into the pie crust and spread evenly. Cover and store in the refrigerator until it becomes firm. When done, cut into triangles and enjoy with whipped topping or just like that! Don’t you think it looks yummy? pie looks awesome..uma,,u r so lucky to have a sweet daughter..drooling here..
Congrats for the 200th post and congrats for the ghruhapravasham. Happy to see that young kids show interest in cooking. All the best for ur kid. Fudge looks yummy. Glad to find cooking interests kids. Lucky Mom. this is a perfect recipe for an amateur like me :) bookmarking it to trey. usually some recipes will have eggs or maida in it which will keep me away from trying.. this one sounds so easy.. will give it a shot. 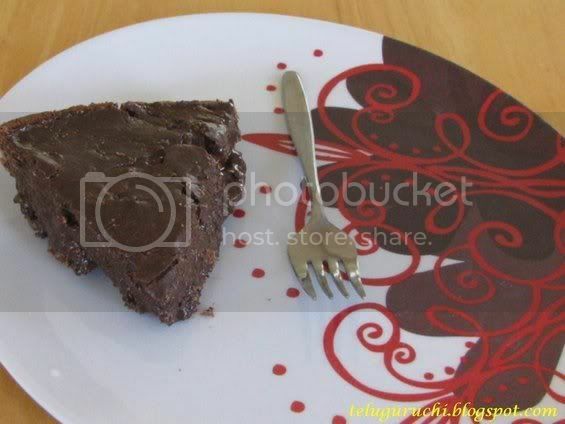 Fudge looks delicious Uma..and kudos to your daughter for preparing something as sweet as this..you are a lucky mom! !And congrats on the 200th post..I know how exciting it can be,I just did mine a while back!! Congratulations on your 200th post! So the daugther is already taking up after her mother! Very yummy looking fudge! Congratulations on the new home and 200 post. Love the creamy texture and chocolately flavour. Nice to know that you cute lil made this. Three cheers to mom and daughter. Congratulations on your new house and your 200th post! Please do post pics of your house if you can! 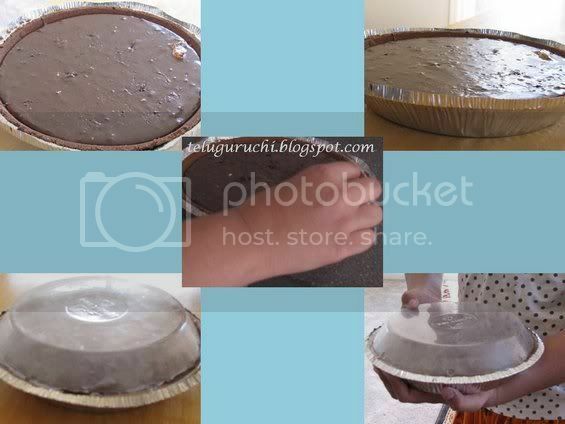 Congrats on your 200th post and Happy Grauhapravesham..Fudge looks gooey and delish..
That looks so chocolately & delicious... a perfect recipe to start her baking/cooking endeavours. Congrats on ur House warming Pooja! And 200 posts, yippee Uma... I cannot believe that Chaitru baked it alone, Great work and Hugs to her! hmm..fudge looks yummy .You are lucky to have a wonderful daughter!! Congrats on your 200th post Uma.Its is so nice that your daughter is interested in cooking at this age. Fudge looks delicious. Congrats on your 200th post! 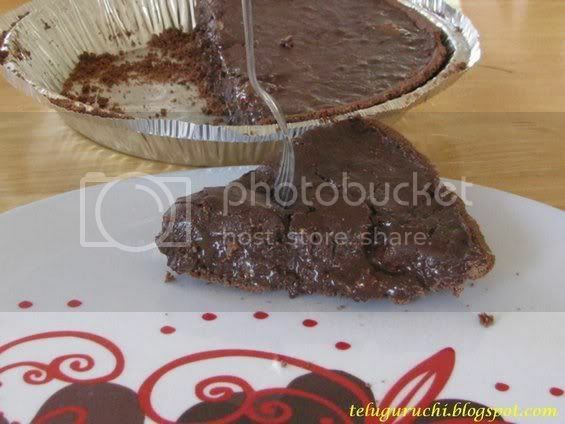 Fudge looks awesome.. Your daughter is very talented. 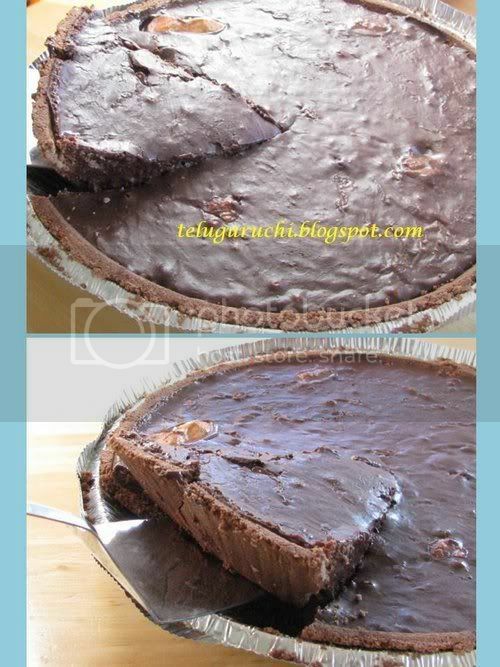 That looks creamy and decadent, with the perfect amount of chocolate! Hey, yummy dessert by ur daughter on house warming.. looks so nice an perfect !! Lovely !! Congrats on your new home and 200th post...Fudge looks delicious...Great to know ur daughter made this...really appreciate her interest. Congrats on your new home and 200 posts..Wishing you many more to come! Fudge looks good, with you by her side, your daughter will dish out many more goodies am sure, Uma. Looks so yummy. kudos to your li'l one :) congrats on your milestone! yummy fudge Uma! Awesome work by your daughter...hugs to her! Congrats on your 200th post!! wow!! Sweet ..creamy fudge looks delicious! I am really awed by ur daughter's enthu! Congrats on reaching milestone and keep going! uma my yesterday s comment missing ne comments lo post ayyinda leda teliyadam ledu any way this one looks amazing with chocolate yummmm me ammayi bangarutalli la vunde amma ki help chestundi anukunta? droolin,..glad to knw ur daughter that ur daughter also loves to cook,..:-)congratulation for new home,..
Creamy fudge is really tempting even though I am not a fan of chocolates and sweets but now knowing what I am missing, the delicious (it must be) things like this. Chocolatey and delicious! Congrats on your milestone and new house Uma! Delicious fudge...Congrats on your 200th post Uma! Kudos to your daughter for preparing this delicious fudge. Also congrats for the 200th post Uma. Congrats Uma on your new home and the 200th post :) Your daughter is turning to be quite an accomplished cook. Ofcourse she has a terrific mom :) This looks delicious! Congrats on ur 200th post.. nice click.. looks perfect & soft dear..
fudge looks very much perfect and tempting too. Congrats on your 200th post. Woooh.. wat a cute daughter..!! She loves cooking, great! Lovley fudge too..! Congrats on your 200th post dear!